Since Voivod were mentioned in my previous entry, I decided to post their debut full-length release from the era when their sound wasn't too "progressive" yet. This album is raw thrash metal with a healthy dose of punk, apparently inspired by bands like Venom and Warfare. I'm pretty sure it already was reviewed numerous times, so I have to say only one thing: while I normally don't listen to this kind of music too much, the aesthetics on this album are 10 out of 10. If you're looking for a thrash metal album with post-apocalyptic/post-nuclear theme, this one would be exactly what you're looking for (along with "Pray For War" by Virus). 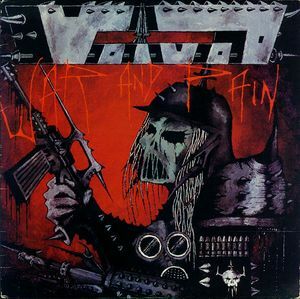 Don't stay in black city your soul will catch the spell"
That's what is remarkable about this album - back them, Voivod were absolute beginners when it comes to writing both music and lyrics, but the end result turned out to be surprisingly better than could be expected. 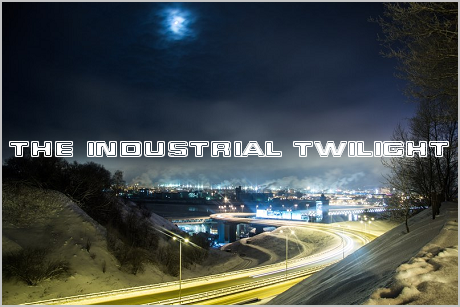 On their later releases, they continued to break the rules of songwriting (this time intentionally), thus becoming one of most unorthodox metal bands of their time.